A major scandal in the world of scientific research was revealed last month. One of the world’s largest academic publishers, Springer, announced the withdrawal of 107 papers published between 2012 to 2015 in the Tumor Biology journal because of peer review fraud. All of these papers are related to Chinese research institutions. This is the highest number of professional academic journal papers withdrawn at any one time. Moreover, several media published the names, departments and institutions of all 524 Chinese scholars suspected of misconduct, many of whom are famous doctors from prestigious schools and institutions. This is a catastrophic international scandal, and it may have irreparably damaged the reputation for academic integrity of Chinese doctors. Faced with this shameful disclosure, the China Association of Science and Technology (CAST) accused the Springer Publishing Group of “imperfect internal control mechanisms and loose auditing” and said Springer should “take responsibility.” This criticism is simply unthinkable. Shouldn’t CAST be blaming those who committed the fraud, instead of condemning the Springer Group for exposing it? By making that statement, is CAST labeling itself to be an association of liars? After the CAST announcement, some Chinese doctors also stepped out to defend their peers, making excuses like: the fraud was in the peer review instead of the content itself; scientific research and clinical technology were not necessarily involved; the system in China forced doctors to commit fraud; doctors were innocent, and so on. They also criticised the publication of the names of the authors, saying that it’s a violation of privacy and damaging to the doctor-patient relationship, etc. I was shocked by these statements. 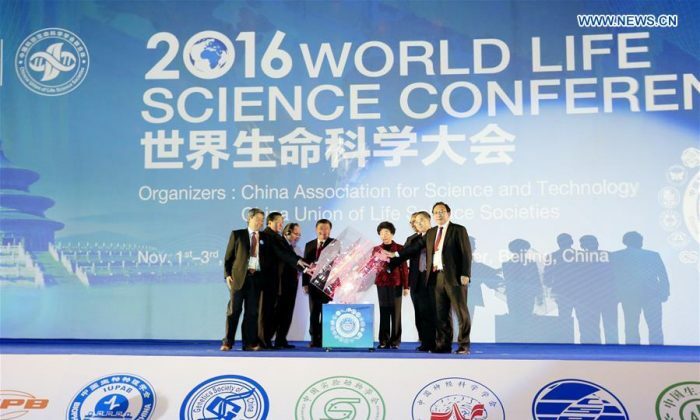 What’s wrong with the Chinese scientific community and medical profession? Why is their level of morality so low? To answer this question, we have to talk about China’s system of promotion in professional ranks (“zhicheng“). In this system of China, doctors must publish research papers to be promoted to mid- or higher-level ranks. The higher the level, the more demanding the requirements. But do surgeons have time to complete papers? Probably not. On average a doctor conducts two to three surgeries a day, even four during busy times. It is common that doctors are on their feet six to seven hours a day. Therefore most of them do not have enough energy left to engage in scientific research, let alone publish papers in major medical journals. A survey indicated that 36.51 percent of Chinese doctors said they were reluctant to complete the requirement of rank promotion, and up to 25.88 percent said they couldn’t finish the task on time. Having to write research paper creates big challenges and enormous pressure for them. Over 30 percent of the doctors indicated that they have committed fraud in the evaluation process, and nearly 40 percent said they might choose to commit fraud if the pressure on them is high enough. The surveying institutions concluded that promotion based on paper publishing is nearly something like forced prostitution. According to such analysis, Chinese doctors committing fraud is somehow a result of the bad system. No wonder CAST stepped out to blame the Springer Group, as CAST is the one behind the scenes executing this system. On Jan. 29, 2014, the young Japanese stem-cell biologist Dr. Obokata Haruko published two papers in Nature, one of the world’s most authoritative research magazines. She claimed to have discovered a much simpler way of creating stem cells, using a technique called “stimulus-triggered acquisition of pluripotency.” The discovery might have made her a candidate for the Nobel Prize. The news immediately gained enormous attention in Japan, as prominent female scientists are rare. But the excitement was short-lived when Paul Knoepfler, a leading U.S. scientist, found that other scientists were unable to replicate Obokata’s findings. When it was found that there were doubts about the research, the Japanese public was shocked; they felt that Obokata had brought shame to Japan, and criticised her severely. Facing such a strong media response, the Japanese institution where Obokata worked quickly set up an investigation committee. On April 1, 2014, the Institute concluded that Obokata’s STAP paper contained fabrications and called it academic misconduct. In Japan, fraud is considered even more serious than being sent to prison. The entire society appears to criticize such behavior, and the consequences can be as bad as, or even worse than death. We don’t know the fate of the 524 Chinese doctors who conducted fraud, but I assume nothing will happen to them. The next question is, will China reform the current system in removing the requirement of journal publication to doctor’s rank promotion? I’d say it is difficult. As long as the system in China doesn’t change, there will be more fraud, harm to doctors and patients, and an absence of trust in China’s medical research. Tian You is a popular blogger and commentator on Chinese society, economy, and culture. His personal blog has over 2.4 million readers. This is an abridged article from the author’s personal blog.